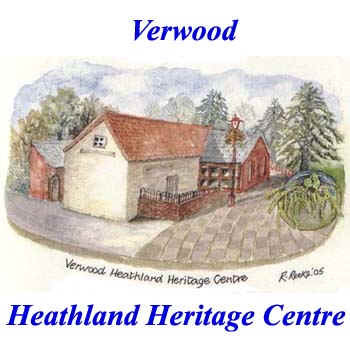 Please select the Verwood or History or Heathland Heritage Centre web sites or links below. better viewed on larger screens. - when Champtoceaux came to Verwood. A report by Dorothy Curd (written in 1984) who was a long standing member of the Twinning Association and was for many years on the Committee. Message from Her Majesty Queen Elizabeth II. Message from the Prime Minister. 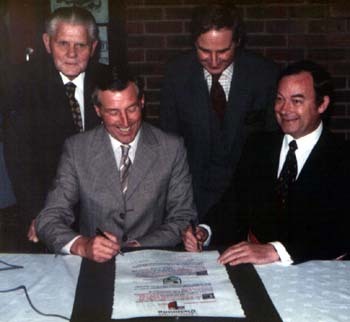 Gordon Thorne - Chairman of the Twinning Committee. At last, Saturday the 26th May arrived, and our plans for an open-air ceremony in the courtyard between Safeway (now Morrison’s) Stores and the Leisure Centre were foiled by cold, lashing rain. The tables and other gear were, therefore, hurriedly moved to the covered-way by the Leisure Centre. Shortly before the time for the ceremony, the public began to arrive, and the Verwood Concert Brass started to play incidental music; but we still had no French guests! We had previously arranged with the Devon police that the two coachloads of guests would be conducted from Plymouth Docks through the town, and on to the A38. In fact, this was done, but, unknown to us, H.M. Customs had searched both coaches, and delayed their departure for two hours. So, with the ferry an hour late and Customs Officers making a thorough search of the coach, our guests finally arrived only a few minutes before the ceremony was due to start. With rain continuing to fall, hosts and visitors were hastily sorted out and despatched home for a quick change and the ceremony delayed for half an hour. Somehow we managed the timing and were soon sheltering under the awning outside the Leisure Centre to hear a message of welcome given by our Chairman, Mr. Gordon Thorne. A letter of congratulations from H.M. the Queen was followed by the French Mayor, Mr. Alain Levoyer, who gave the interpreter, Mr. Paul Bourdais, a rest, by reading his speech in English. Cllr. Harold Witt, Chairman of the Parish Council, replied and then Mr. Robert Adley spoke in both languages, both he and the Mayor keeping us amused with some very witty comments. Visitors were introduced to their hosts, returned to their homes to change for the evening's entertainment in the Leisure Centre. Guests were greeted with a glass of sherry and incidental music provided by "Courtlye Musicke", a five-piece ensemble playing medieval music on replica medieval instruments. They continued to play throughout dinner, and occasioned much interest and appreciation. We sat at tables for eight persons, with a long top table for our Member of Parliament, Mr Robert Adley, M. Alain Levoyer, Mr & Mrs Harold Witt (Council Chairman), Mr & Mrs Gordon Thorne (Association Chairman). Here the atmosphere was really festive. 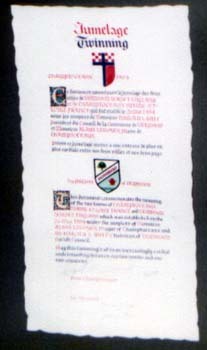 Members of the Flower Club had succeeded (against their better judgement) in making two beautiful arrangements in red, white and blue, and these were placed on each side of the top table, behind which the two national flags were draped. The caterers had placed flags and flowers on each table and the menu cards with place names were specially produced by Mr. Leo Roberts to be a souvenir of the evening. During the evening presents were exchanged. We gave a glass goblet, engraved with the Twinning logo, to the French, and a smaller one to Mr Darner for his artwork. We received two large photographs, one of the gates to their "Old Chateau", and one of the "Cul du Moulin" on the Loire . These are now in the "Twinning Comer" of "Verwood Library. Somehow the caterers had managed to keep the food hot during the long delay and we all had healthy appetites by now and gave it our full attention. Later on, the Mayor of Champtoceaux was presented with a pennant beautifully embroidered by Mrs. Pauline Barrow with the Twinning logo and also a glass goblet etched with the same design. He returned the compliment by giving commemorative medallions to Mr. Thorne, Cllr. Witt and Mr. Adley and two framed pictures of Champtoceaux to be hung in our Town Hall! No Prizes will be given for guessing where that is. We also took this opportunity to show our thanks to Mr. E. Darner for his weeks of work in producing the charter, by asking Mr. Adley to present him with a glass candlestick decorated with the Twinning sign. The evening finished with a really lively selection of dance music by Graham Church which pulled everyone to their feet and had them dancing round the tables before the end. He even managed to find a few French tunes to make the visitors feel at home. One can only marvel at their stamina to keep going until midnight when they had started out at 2 o'clock in the morning and had a rough crossing. Then we repaired to the Memorial Hall where members of the Wives Club served an English cream tea, with scones, served by Verwood Wives and the Brownies acting as waitresses. Butter and jam kindly provided by Safeway. Once again tables were gaily laid out with flags and flowers and it all looked very welcoming. After the Sunday lunch most people kept their intake to a minimum but that left plenty for the children. Because the weather was still playing up, it was impossible to dance outside so tables were cleared and chairs brought in for a concert indoors. It started with an impromptu recital by a few of the Champtoceaux Choral society who were with the visitors and they gave us several songs, one of which was English, while the French Folk Dancers changed into their costume, which is rather intricate and takes about an hour. Then the dancers entertained us with the first half of their repertoire, introduced in French by their accordionist and interpreted by Mr. Bourdais very amusingly. 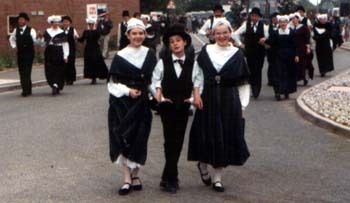 The dances themselves were a good mixture of amusement and colour and included one which used to be danced at court in the old days. We were very interested to hear that this is the first time that they had performed outside France. Then came the moment that the Hillside School children had been waiting for - to perform English country dances which they had been rehearsing and which they managed to perfect in a very short time. How well they managed on the small stage when they had been expecting to dance outside and what a pity that more people could not have seen it, but the hall was packed and they finished to loud applause. Then the French dancers joined them for a repeat of their last dance and one felt that this is what the Twinning is all about joining together in things which we all understand to help us solve our differences. After this, the French gave us a few more dances and then changed back into everyday wear for their evening entertainment which was skittles and a ploughman's supper and plenty of laughter and conversation. I can still see their oldest member, a farmer of 69, chuckling away as people hit or missed the skittles, although he must have found it quite tiring standing for so long in the crowded room. I can't answer for what time people re- tired to bed but feel that talking went on in their own homes long after closing time. Somehow we managed to 'man' our stall, a tombola in the shape of a peg-board with a clown painted on it by Cherry Thorne, which had proved very popular and has been used year after year. We assembled at Hillside School at about 6.15 for the send-off, to the music of the bagpipes, played by the Campbell's in full Highland Dress, and sang Auld Lang Syne before our visitors boarded the coach. At 6.45 p.m. they departed amidst a feeling of sadness that the visit had been so brief, but with many new friendships made and the promise of a return visit next Spring. On behalf of the Verwood Twinning Association. 1 would like to thank all the organisations and people of the village who joined with our committee to make what we hope was a very successful week-end for our friends from Champtoceaux. We apologise to all those who waited so patiently on a very wet and cold Saturday evening to witness the signing of the Charter. Tile ceremony was delayed due to the late arrival of our French visitors who had been held up by rough weather in the Channel, amongst other things. Special thanks are due to Verwood Concert Brass who did an excellent job playing for an extra half an hour with frozen fingers. Many new friendships have been formed during the week-end, and we hope that many more organisations and individuals will, over the coming years, make happy and fruitful contacts with our friends in Champtoceaux. The Queen sends her sincere thanks to the Committee of the Verwood Twinning Association for their kind message of loyal greetings, sent on the occasion of the official ceremony of twinning between Verwood and the town of Champtoceaux . Her Majesty received this message with great pleasure and would like to send her best wishes to both towns joining in this ceremony. She hopes you all have an enjoyable and successful evening. The Prime Minister has asked me to send her very best wishes to Verwood and Champtoceaux on the occasion of your Twinning Ceremony. Mrs. Thatcher believes that twinning is a splendid way of promoting international understanding and goodwill. Some 1,200 U.K. communities are now linked with communities across the world. Mrs. Thatcher's home town, Grantham, is twinned with Sankt Augustin in Germany . The Prime Minister is sure that you will enjoy the Ceremony and Celebration Dinner and is confident that Verwood and Champtoceaux will long maintain entente cordiale. Send mail to with questions or comments about this site. Copyright of material reproduced by permission, resides with original owners. 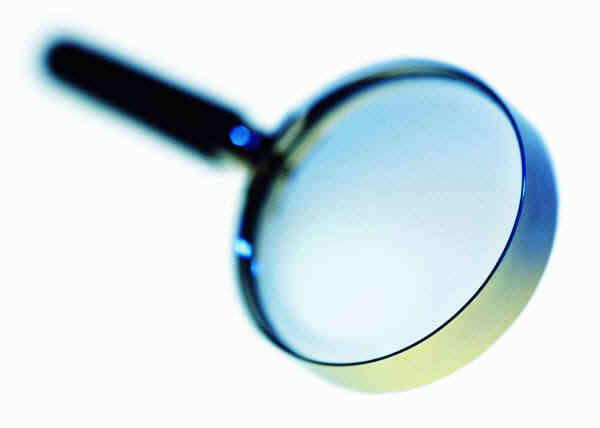 see - References, Bibliography and Acknowledgements. DISCLAIMER: While every effort has been made to ensure the accuracy of the data on all 'Verwood.org' sites the owner cannot accept responsibility for any mistakes which may occur. Data provided 'as is' without warranty and subject to error and change without notice. Your use of this website indicates acceptance of this.. Please contact the ' ' with updates, suggestions and ideas for improvement, including mistakes found and any other concerns you may have.